How Much do External Sliding Doors Cost? 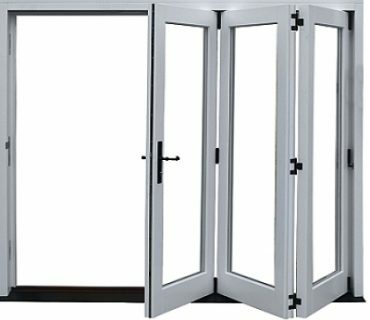 How Much do External Sliding Doors Cost? Ever since their introduction, sliding glass doors have been very popular and they are at the height of todays’ modern architectural adoption. Their benefits are quite obvious and straightforward, ranging from aesthetics to increased natural lighting. They also introduce wider outdoor views, giving a room the illusion of having more space. Modern glass sliding doors are easy to access and maintain. Most residential external sliding glass doors installed these days are for use as patio doors and the range of different designs is very good. 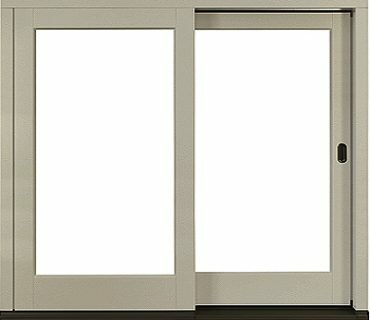 Here is a brief look at the major types of sliding doors, their features and prices. 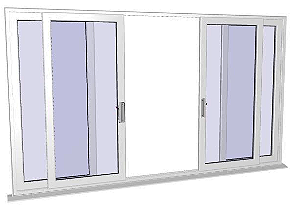 Pocket sliding doors – these options usually feature a single panel and do not have any hinges fixed in the design. They are much smaller thus ideal for small spaces where hinges are unnecessary. The design features a space between the walls into which the door slides when opened. 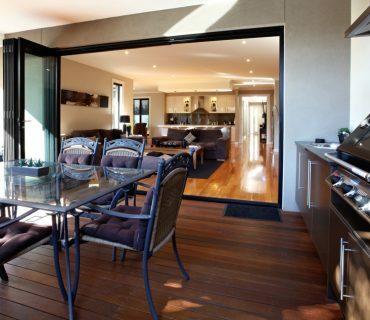 Patio sliding doors – these are the sliding doors most people quickly identify as they are wide and popularly used. 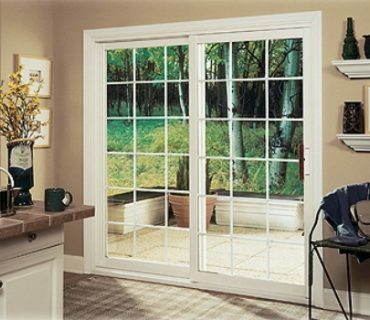 A basic inline sliding patio door will feature at least two panels, one fixed and another sliding. They are often broad and rectangular in shape. 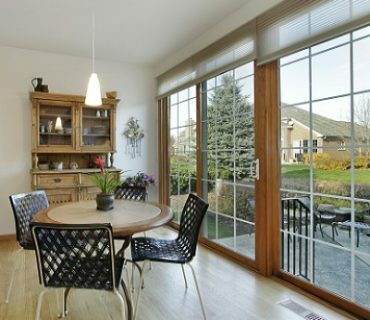 Whilst they are most often used as patios windows, they can also be used to partition dining and living rooms. Bypass sliding doors – these doors feature two fixed adjacent panels and a rolling track above and below. When opened, the doors slide past each other and can be moved either way to open a doorway. 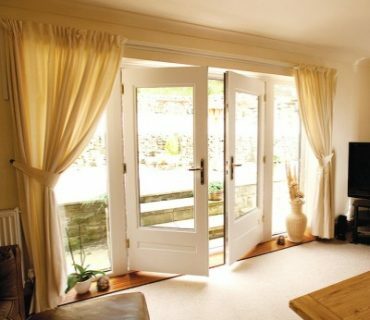 Like external sliding glass patio doors, bypass doors are broad and ideal for wider spaces. They can often be seen as partition doors inside the home. Tilt & slide patio doors – a more recent innovation, where you have one of the panels in the patio window that can not only slide right or left, but can also tilt inwards on specialised hinges to allow a large amount of ventilation. 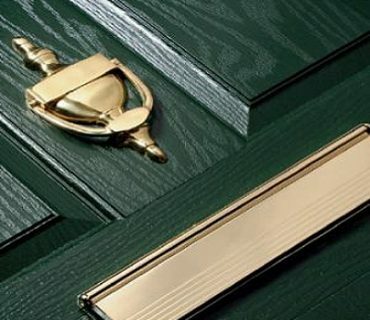 As you might expect, you can have the frames of the doors constructed from timber, upvc or aluminium, with each material having its own particular set of qualities. The glass element of these doors is obviously very important, in respect of function, security and safety. Typically, you will find they feature large panes of float glass which will generally be about 4mm thick. Without doubt you should fit (at least) double glazed units to the doors. The double glazed units also vary in overall thickness due to the gap between the panes which ranges across 6, 8, 10,12, 14,16,18 & 20 millimeters. With the added thickness of the 2 panes of glass this will allow options from 14mm to 28mm overall. You may see the specification of the double glazed unit represented as a set of numbers such as 4-20-4, where “4” is the glass thickness and “20” is the gap size between the 2 panes of glass. Triple glazing would be represented as something like “4-10-4-10-4”. Safety concerns (and building regulations) would necessitate using tempered toughened safety glazing for any door of this type. Laminated glass is also an optional extra. The energy efficiency of the whole door would be represented by the WER label (Window Energy Rating). This labeling system by either British Standards Institute (BSI) or The British Fenestration Rating Council (BFRC) is colour coded, usually green to red, with an additional alphabetical rank of A to G with G being the lowest rating. How much do external siding doors cost? Type of glazing – double, triple, toughened, laminated etc. 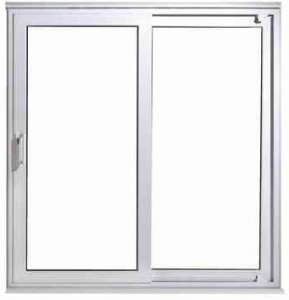 Specification – frame design, double glazing thickness (up to 28mm). Furniture – handles, locks, hinges etc. 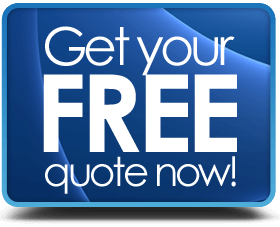 Colour options – both Upvc & aluminium or twin colour. Surface finish – smooth or textured timber-grain effect. Threshold – regular raised, low level or rebated. Installing external sliding doors will definitely increase the amount of natural light coming into your home and also allow you to enjoy a wide-open view of your garden. The engineering aspects of the products make them very secure, long lasting and energy efficient. So, what you have in an external glass sliding door is style, safety, form & function.